Our range of products include abb ac drives service center, ac drives repairing center, allen bradley ac and dc drives service centers, yaskawa ac drives service center and ac drive repair service. We have team of expert engineers with excellent workshop facility to repair ABB ac drives in minimum of time and also we have in house full load testing facility to repair ABB ac drives in minimum of time. We are proud to announce that we have 98% customers satisfaction ration which is 38% percentage higher than industry average ration of 60%. 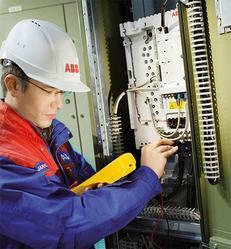 We provide the service center for AC Drives Repairing Center. Further, we provide this AC Drives Repairing Center to our clients at pocket-friendly prices. We provide the Yaskawa AC Drives Service Center, we have team of expert engineers with excellent workshop facility to repair yaskawa ac drives in minimum of time. We have automatic testing facility to test yaskawa ac drives to certain level. We have full load testing facility to test drives after repairing to ensure satisfactory performance of ac drives. 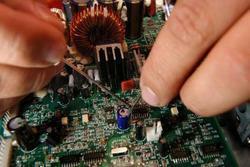 We provide high quality of the facilities in the repairing center.